Niagara County is in the northwest corner of New York State, and it is quite a sight to see! Home to the magnificent Niagara Falls, there is no lack of waterfront fun. 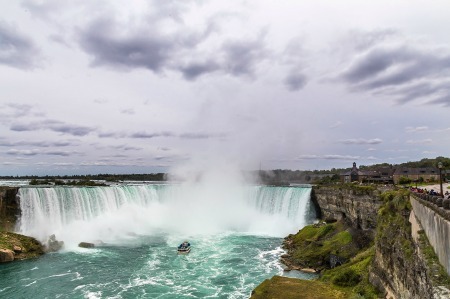 With Canada to its north, Niagara County boasts being home to three notable water features: Niagara River, Lake Ontario and Niagara Falls. According to NiagaraFallsUSA.com, the Official Visitor Center welcomed approximately 119,000 people through its doors in 2016 with many more touring The Falls on their own. Natives and visitors alike can experience exciting adventures from boating to wine tours and everything in between. A county rich in culture and history, it finds its fortune in tourism, agriculture and wine making. Niagara County is the perfect place to live simply but not miss out on all the adventures that life has to offer. Niagara County is filled with things to do and places to see. Whether you live here or are visiting, your biggest problem will be finding time to do it all! State Parks: De Veaux Woods State Park, Devil’s Hole State Park, Fort Niagara State Park, Earl W. Brydges Artpark State Park, Four Mile Creek State Park, Golden Hill State Park, Joseph Davis State Park, Niagara Reservation State Park, Reservoir State Park, Wilson-Tuscarora State Park. According to MLS data, there were 2150 closed transactions during 2017 in Niagara County. The average single family home had 3 bedrooms, 2 baths, nearly 1600 square feet and spent 46 days on the market to sell for $133,604. 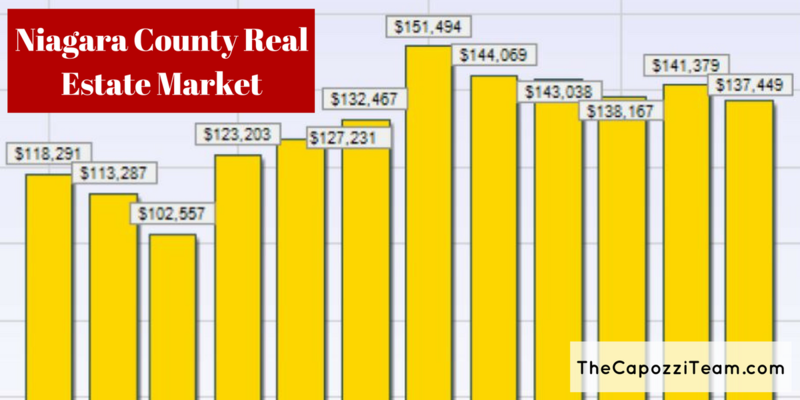 Niagara County has 1187 single family home and condo/townhouse sales in 2018 as of August. The year is looking similar to 2017 with an average of 45 days on the market and sale price of $135,564. The youth of this area have the opportunity to attend one of 50 public or 17 private schools across 12 districts. With a dozen districts (one of which is also in Erie County) it can be confusing to know what school your child will be attending. When you search homes for sale many agents do list the schools for the property. It is always wise for a buyer to verify that information. Greatschools.org is an excellent resource to determine what school zone a property is in. The county is also home to a couple higher education institutions: Niagara County Community College (NCCC) in Sanborn and Niagara University in Lewiston. 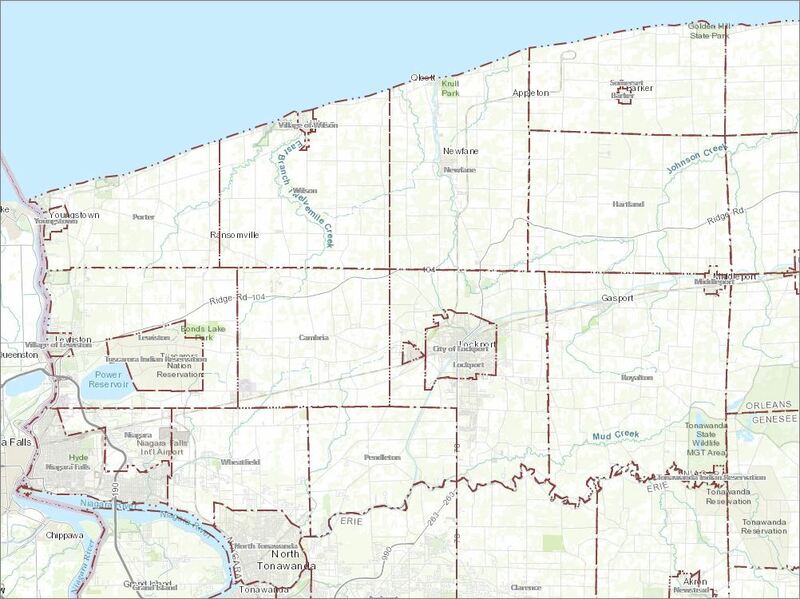 Made up of 15 municipalities, five villages and the Tuscarora and Tonawanda Reservations, this county has plenty of neighborhoods and communities to explore!